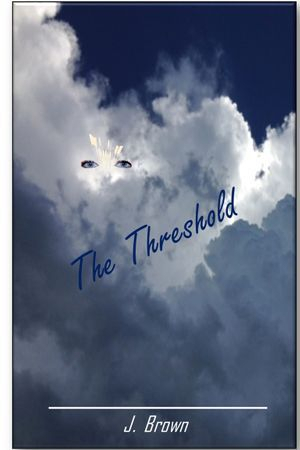 "The Threshold" was the 1st full-length novel that I wrote. I wrote it over 20 years ago. I still hold it close to my heart. I've always believed that it was given to me by God. And, I always prayed it would make a difference for others. I don't know when or if it will, but I will be patient, for I know that the Spirit knows no time. 'The Threshold' starts in the physical world as confusion, pain and sleep take the souls of eight physical beings from their lives on earth. Taken to a place call "The Threshold', they embark on a journey of discovery with the help of two special Spirit guides, Triaicia-37 and Adius-13. They help the souls to explore past events that shaped their personalities, the connection between perception and current belief, and the importance of love. You will find yourself connecting with these souls as they watch twelve individuals of different ethnicities and varied backgrounds still in their lives on earth. They follow them in situations where they too feel they don't belong. There are twists and turns and these souls learn of a far greater connection than they anticipated. With their new found knowledge, they accept the challenge to make a real difference. You can too! Everything on this website is owned exclusively by the author, J. Brown and Copyright, 2012.